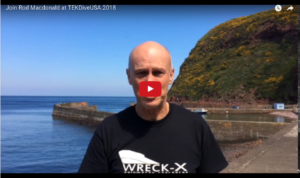 Rod Macdonald is an internationally renowned shipwreck explorer, undersea adventurer and best selling diving author with 10 books to his name to date. 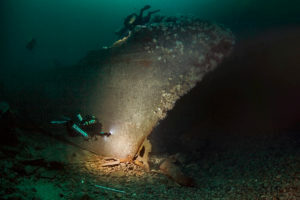 His dedication to shipwreck diving has led him to be the first to dive and survey many lost shipwrecks and his beautifully illustrated dive guides to world famous dive locations such as the German WWI High Seas Fleet wrecks of Scapa Flow or the Japanese WWII wrecks of Truk Lagoon and Palau are the internationally accepted definitive dive guides. 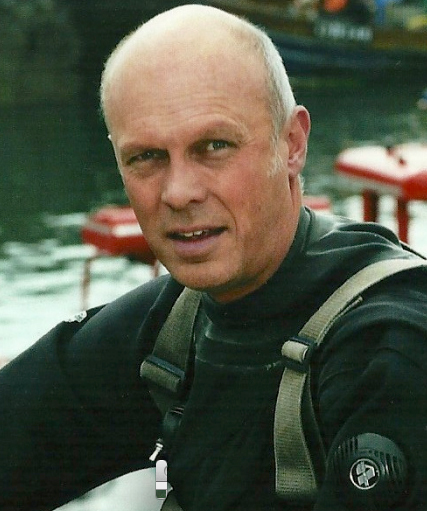 His true life accounts of his diving adventures, the highs and lows, in Into the Abyss – Diving to Adventure in the Liquid World and The Darkness Below are diving classics and chart his progression from single tank diver in the 1980’s, through the dangers of the deep air days to open circuit trimix diving and then Closed Circuit Rebreather diving. Along the way, a dive into the Corryvreckan Whirlpool will make the hair on the back of your neck stand up! Rod is a charismatic and spell-binding speaker whose determination and passion inspire and motivate those who hear him. He is a member of the Explorers Club, a big boat sailor, ex lifeboatman and powerboat instructor.